Here are Some Helpful Tips to see if your Roof can It Weather A Storm? 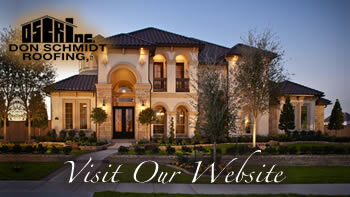 Home » Don Schmidt Roofing Blog » Here are Some Helpful Tips to see if your Roof can It Weather A Storm? Because strong storms are a way of life in many parts of Florida, residents will too often brush off the news of bad weather, leaving them to panic when they realize the impact might be greater than expected. That’s why it’s best to start preparing your home now. Follow these helpful tips to ensure you, and your roof, can weather any storm. 1) Secure doors and windows. If any debris is flying and it breaks a window, it can suddenly increase the pressure inside your home, and your roof will act like a giant parachute. To prevent this from occurring, make sure your doors and windows are tightly secured and locked during the height of the storm. If you can cover your windows, it’s best to use plywood. 2) Take an inventory of your home. Unfortunately, you may have some damage after a storm, and you want to make sure that you’re ready for the insurance company when they send an adjuster to your home. Prepare now by taking photos and videos of your home that you can provide to an adjuster for comparison. 3) Secure any loose items in your yard. Any items that may take flight and damage your home, or anyone else’s, should be moved indoors. Patio furniture, for example, should be stored in your garage, shed or home. Though it is likely one of your most valuable possessions, your home is not the only thing that will need to be protected during a storm. Stowing your vehicle is also important. If you don’t have a garage, move your car away from any large trees that may fall and cause damage. 4) Try to keep branches away from your home. Branches should not be within six feet of your house. In high winds, these are going to act like large whips, damaging your roof system. Be extra cautious of branches that may creep up beside your roof’s edge. This is the area that provides protection from air lift, therefore it is even more important that it is not damaged. 5) Make sure your insurance policy is up to date. Make sure that you have no coverage gaps. If a tree hits your home, or a limb strikes, the first thing you need to do is contact your insurance company. The second thing to do is call a dependable, licensed tree service. They will help you get the tree off your roof and tarp it. Then, Don Schmidt Roofing is there to help you if damage is sustained. We also have tarps available and crews ready to help secure your home as quickly as possible after the storm.